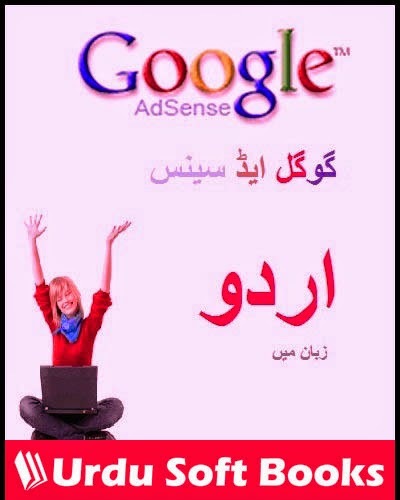 Google AdSense Urdu Book read online or Google AdSense Urdu Book in PDF format, first time in Pakistan you can learn Google AdSense in Urdu Language through Urdu PDF book, Google AdSense Urdu Book will teach you all aspects and features of Google AdSense in Urdu language. Google AdSense Urdu Book read online or Google AdSense Urdu Book in PDF format, first time in Pakistan you can learn Google AdSense in Urdu Language through Urdu PDF book, Google AdSense Urdu Book will teach you all aspects and features of Google AdSense in Urdu language. This book will guide you how to approve Google AdSense account easily in Pakistan, It will also instruct you about how to avoid bad and AdSense policy violation approaches. why your AdSense account suspended? How to improve your earnings in Google AdSense, this type of all questions will be answered in Google AdSense Urdu Book. We are going to build largest Urdu computer books library, where you can read online and download PDF Urdu computer books, you can also share these Urdu computer books with your friends through social media sharing buttons which are available on each page. This time you are watching another beautiful Urdu computer book Adobe Photoshop Urdu Book. You can read online or download Adobe Photoshop Urdu Book in PDF Format using below links. Your feedback and comments will help us to improve our Urdu computer books collection.